"For Diwali 2015, Absolute Bollywood Live celebrates 50 Years of Bollywood with a live show starring Ash King & Jonita Gandhi! 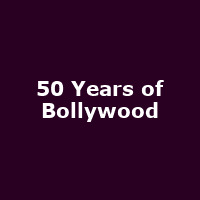 This concert will be showcasing the best in Bollywood music & dance from the last 50 years with their first ever collaborative performance in the UK alongside the Absolute Bollywood Dancers. These phenomenal Bollywood singers and dancers will be recreating iconic and memorable songs from some of Bollywood's most well-known films. Come and be delighted by the splendour of one of the largest and most glamorous film industries in the world!"